Most Sky customers will have heard about the “secret menu” over the last 10-15 years. This is also known as the “hidden installation” menu. It is a handy shortcut to help you fix issues with your Sky box by yourself when it is out of warranty. The warranty generally only lasts for 12 months, meaning that after this time, any repairs won’t be free. Calling out an engineer to check your Sky set-up will usually cost you £65. If there is a fault with your Sky box, then you might be able to use the Sky secret menu to resolve it. It is much cheaper than paying for an engineer visit or pointless Sky Protect insurance. This guide will tell you how to make the most of the Sky secret menu on your box. The only problem with accessing the hidden menu is that you need a remote control. If your remote is lost or some buttons aren’t working, you will need to buy a new one. 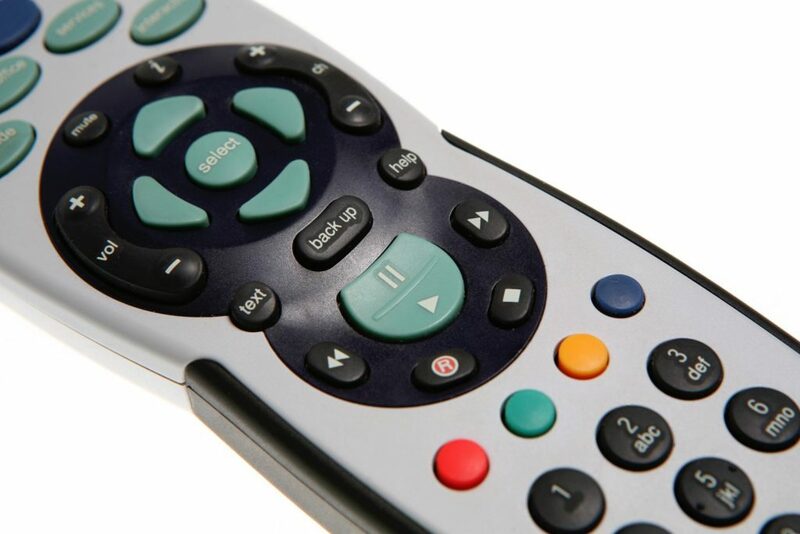 Once you have your remote control, turn the TV and the Sky box on and point the remote at it. When it is fully loaded up, press the “Services” button near the top of the remote. Then you will need to press 0, 0, 1, and the “Select” button. You have to do this quickly to get it to work, so it will be easier if you don’t look at the screen. On older Sky boxes, you might have to press 4 instead of the first 0 (so press Services, 4, 0, 1, Select). You should see a list with the following options once the hidden menu appears onscreen. The LNB is the “Low Noise Block downconverter” which is a part of a satellite dish. It pulls the signal that the dish reflects and sends it to your Sky box. You will need one feed from the LNB for each Sky box in the house, or two in the case of Sky+ and Sky+ HD. These boxes require two tuners to allow you to watch one channel while recording a different channel at the same time. If you are losing some channels you should be able to see, it could be down to the LNB. You can’t reset the LNB by simply switching the power off and then on again. In the LNB Setup menu, you can return the receiver (not the LNB itself) to its default settings. It should then tune into the LNB’s standard output. When you first boot up your Sky box, the default transponder settings tell it which frequency to download the list of channels from. The Sky box will not function properly without the correct transponder settings. In the past, people were advised to change the default transponder settings to a different frequency. This is no longer advisable, as there is only one correct frequency for Sky boxes. If you receive a “No Satellite Signal” error message, go into the Default Transponder menu. The settings should be at 11.778, V, 27/5, and 2/3. If they aren’t or it says there is no Default Transponder at all, change them to these. If this doesn’t work, the problem could be with the cables or dish. With older Sky boxes, customers could make a dial-up connection to Sky through the telephone landline. They can use this for accessing interactive Sky services such as pay-per-view. Sky needs to identify your telephone number before you can access their servers this way. Your service provider might withhold your number, so Sky won’t be able to recognize the CLI (Caller Line Identifier). To enable Sky to see your number and make the connection, go into the Telephone Settings menu. Set the Dialling Type to “Tone” and the Dialling Prefix to 1470. These settings apply for Standard, SkyHD, Sky+ and Sky+HD boxes. Sky Q boxes do not have a dial-up modem or telephone port. By default, Sky disables the RF outlets on their boxes to save energy. You can use this outlet to connect a second TV to your Sky box using a coaxial cable. Go into the RF Outlets menu and switch the power supply to “On” if you want to do this. You will need to set the RF Channel Number to 68, which is the default for Sky. Then connect the TV aerial lead from the back of the Sky box to the second TV (this will usually require a long wire to get to another room). Tune the second TV to UHF channel 68 as well and it should receive the picture from the Sky box from the first TV. The downside is that you can only watch what is on the first TV, but you don’t have to buy another Sky box. The New Install section initialises a new Sky box and Sky card. It allows your Sky card to work and the receiver to tune into the Sky channels. A Sky engineer might use it on a callout to reset the box and let Sky know this has been done. To save the money of paying for an engineer to do it, you can reset your Sky box and card by yourself at any time. Restoring the receiver to the factory default settings will reboot it and wipe any potentially faulty set-ups. You should only do this if you are happy to erase any saved channels. You might want to try it if you have problems with software updates. It will search for the default transponder, ask to register with Sky by phone, and restore settings. The Planner Rebuild process will reboot the Sky box and restore the planner. Doing this will stop any recordings in progress, so you should wait for them to finish first. It will not erase any of the existing recordings in your planner or delete series links. You may want to try a Planner Rebuild if there are issues with planner information or recordings. Before you do this, delete any unwanted recordings then delete them permanently from the “Deleted” folder in the planner. Lack of memory space might have been causing problems. If this doesn’t work, perform a Planner Rebuild. A message saying “housekeeping please wait” will show onscreen, then the box will switch itself off and on again. You should avoid the Full System Reset option. It will restore everything back to its default settings, which means that you will lose all of it. This includes your recordings, downloads, reminders, series links, and added channels, so you will have to set them up again afterwards. However, some older programmes may not be available to record or download again. The Full System Reset is a last resort if you’ve already tried everything else and can’t resolve the issues with your Sky box. The Planner Rebuild is more of a soft reset, while the Full System Reset is a hard reset. It displays the same onscreen message and turns itself off and back on. Give it a minute before trying out recordings. WARNING: Be careful when using the Sky secret menu to change settings. Make sure that you aren’t performing unnecessary operations, as you won’t be able to reverse them and you may lose your recordings and information.